Called as Amazon of Asia, Nepal holds great value for bio-diversity with exploration still underway. The country has one of the best habitats of snow leopards, 2% of the world’s orchid population (360), 8% of the world’s bird species, 2.4% of the world’s flowering plant species (around 5980 with 250 only found in Nepal and also 6% of the world’s Rhododendron species). 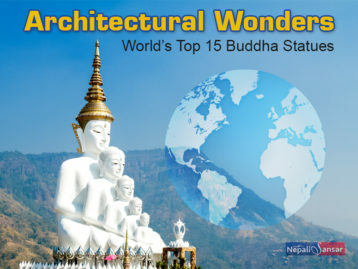 Besides, 4.2% of the world’s butterfly species (around 650), the world’s largest herd of Swamp deer (in Sukla Phanta in West Nepal), mysterious creature called Yeti, largest honeybees, largest moth called Atlas Moth, the only natural breeding ground of the Long Snouted Gharial crocodile, are among other highlights of Nepal’s biodiversity profile.